Caren was raised in Ohio, the oldest of four children. Much of her childhood was spent reading every book she could get her hands on, and crafting her own stories. She was influenced by a diverse array of authors, including Rumer Godden, J.R.R. Tolkien, Ursula Le Guin, Marion Zimmer Bradley, Willa Cather, and the Brontë sisters. 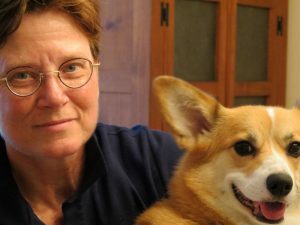 She has lived in Virginia for almost thirty years where she practices physical therapy, teaches anatomy and lives with her partner and their canine fur-children. She began writing creatively again several years ago. Her first novel, Looking Through Windows, won a Debut Author award from the Golden Crown Literary Society in 2009. Since then, she has published several more novels, winning three Goldies and multiple Rainbow Awards. She recently completed her first fantasy trilogy, The Dragonmage Saga. When the Stars Sang is her thirteenth published novel. For more of Caren’s thoughts on various and sundry topics, check out her blog.